Pineview Drive - PS4 Review — GamingWithSwag.com - Dads By Day, Gamers By Night. High Level Premise: Spooky mystery game where you search a spooky mansion alone to find clues to solve the mystery of your wife’s mysterious death. Graphics/Style: Modern 3D - While the set is well decorated, the graphics are somewhat glitchy and look older than their 3-year age suggests. Movement throughout the world stutters a bit, and your character clips easily on the environment, making mobility difficult at times. Story: Your wife died mysteriously after a trip to the house at the end of Pineview Drive. After 20 years of guilt and self-torment, you return to the place of her death determined to find answers. Replay-ability: Little. The puzzles do not change from play-through to play-through. All trophies are earned simply by completing the game. Value: Low. This is a port of a 3-year-old PC game with minimal replay-ability. Favorite Element: I do like the concept of how time passes through the game. It’s not perfect, but it makes it interesting. 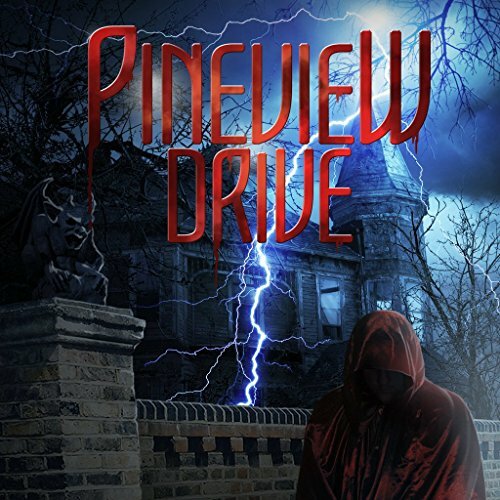 Pineview Drive checks off all of the Survival horror requirements: Sprawling Mansion, protagonist with a mysterious past, suspenseful music, jump scares, and a flashlight. However, even with all of the standards, Pineview Drive falls short. The game’s opening sets the stage for a 30 day search of a seemingly abandoned mansion full of secrets surrounding your wife’s death 20 years ago. From the outset the game introduces its core mechanic: Find a key, find the corresponding door, explore the unlocked room for clues. Once in the Mansion, the clock is running, literally. In game time tracks at a rate of an hour of game time per 45 seconds of real time. As the clocks tick, you explore the mansion to trigger various events that will allow you to solve the daily mystery and progress to the next morning. However, if you fail to solve the day’s mystery before the clock halts at 5:00am, the game starts to torment you. More bumps in the night, scary visuals, and a lot more intense music. Linger too long in one space, and the game will make you pay. Move fast and quick, and you’ll solve the mystery of your wife’s death. Now lets explore the flaws. First and foremost. This game is too dark, way too dark. Not in mood, but in brightness. Pineview Drive has a brightness setting in the options, but no calibration reference. My screen was set to be way too dark, and this left me literally walking in total darkness. Despite ample candles and light fixtures you can turn on, you still can’t see much of the game. After playing through three in-game days fumbling blindly in the dark, I upped the brightness in game and on my TV. This led to a terribly washed out visual experience. Some better calibration tools would enhance this game immensely. Then there are the keys. So many keys. The keys are not labeled as to which door they open. So every time you find a new key, you have to wander through the house and try all remaining locked doors until you find one that opens. While I understand that labeling each key would make the game too linear, the repetitive nature of systematically checking each door makes you feel more crazed than scared. There are plenty of ways the developer could have found a middle ground that would serve to both enhance the game play, but also minimize blind guessing. So the big question of any survival horror game: Is it scary? Pineview Drive hits some of the classics: ghosts in mirrors, rearranged furniture, falling wall art, and a progressively revealing storyline. However, the frustration of the poor brightness, and the constant sprint between locked doors hampers your ability to get lost in the experience of the game. As I progressed through the game, the creepy factor escalated, and the game made me jump once or twice. However, had I not been playing for review purposes, I may have abandoned this game long before I reached that point. Overall, if you’re prepared to take some time to really tweak your screen settings, and you don’t mind the trial and error of the keys, you’ll be able to enjoy this game. But if you’re looking for a scary world to easily get lost in, take a U-turn before you get to Pineview Drive.